Scott Harper joined the Institute in the summer of 2007 and has overseen the development of the organization since that time. In his role as CEO, Scott works closely with the Board of Directors to develop the strategic direction for the organization which guides the development of the technical program at WEICan. 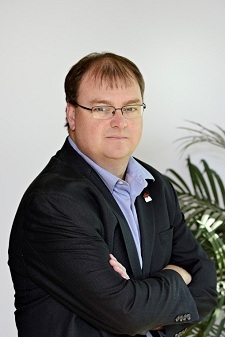 Prior to working with WEICan Scott spent most of his career working for the Government of Canada with the Atlantic Canada Opportunities Agency (ACOA). As an Economic Development Officer, Scott worked in the renewable energy sector and was instrumental in the planning and establishment of WEICan. While employed by the Federal Government, Scott gained a great deal of experience in intergovernmental affairs and sector development planning. Scott also held a position as General Manager of a not-for-profit economic development corporation which was involved in tourism, information technology, business incubation and other initiatives. Scott holds a Bachelor of Business Administration Degree from the University of Prince Edward Island where he sits on the Board of Governors and Chairs the Human Resources Committee of that Board.